From the beginning we have worked and grown with the utility companies; working together to offer quality LED lighting supported by approved retrofits in their Incentive Programs. Improve your business' energy efficiency and your bottom line with valuable incentive, offers, and expert advice through the BC Hydro’s Power smart programs. Give us a call and we can walk you through the many ways to benefit from the incentive programs. 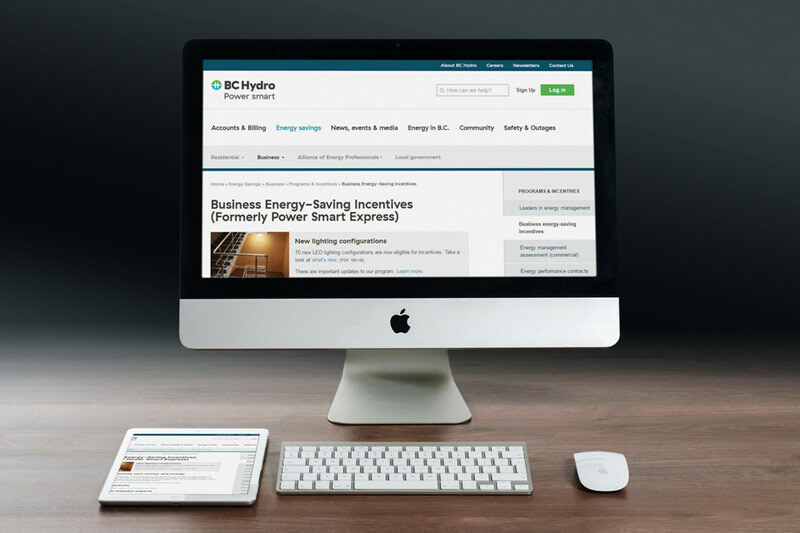 Visit BC Hydro's Energy-Saving Incentives For Businesses page. Fortis BC Incentive programs offer upgrades to qualifying high-efficiency lamps, streetlights, luminaires, outdoor signage and automatic controls. We can take you through the application process, qualify your project and the lighting solutions to evaluate your overall budget and incentive rebate. Give us a call. Visit Fortis BC's rebates for businesses page. For almost a decade S2 Innovative has helped hundreds of clients upgrade their lighting needs for energy efficient and cost saving LED products.